When you have a large family and limited budget, you have a variety of options for keeping your wallet intact. Most of them involve shopping at discount grocery stores and/or using coupons. 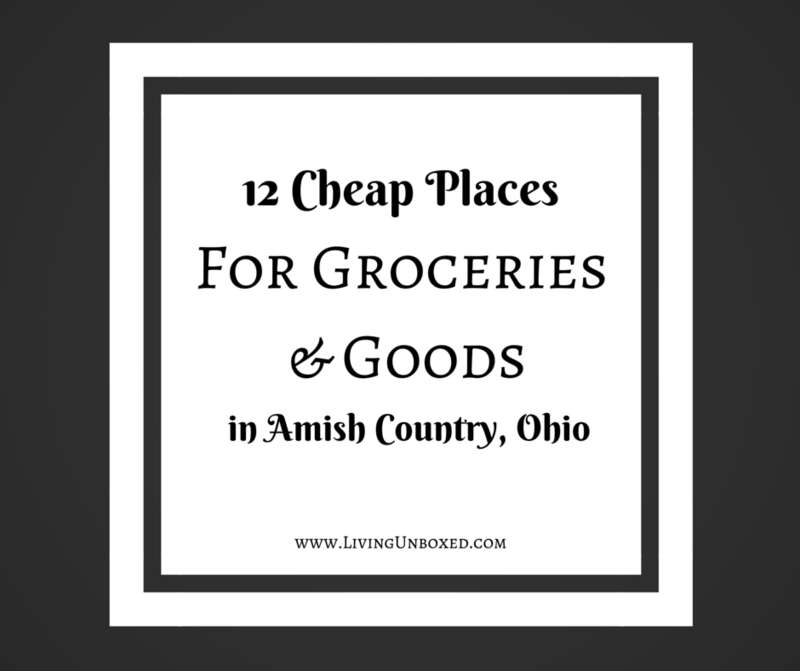 But when you live near Ohio’s Amish, you definitely want to consider the discount options available there especially if you like to cook from scratch and are willing to buy in bulk. 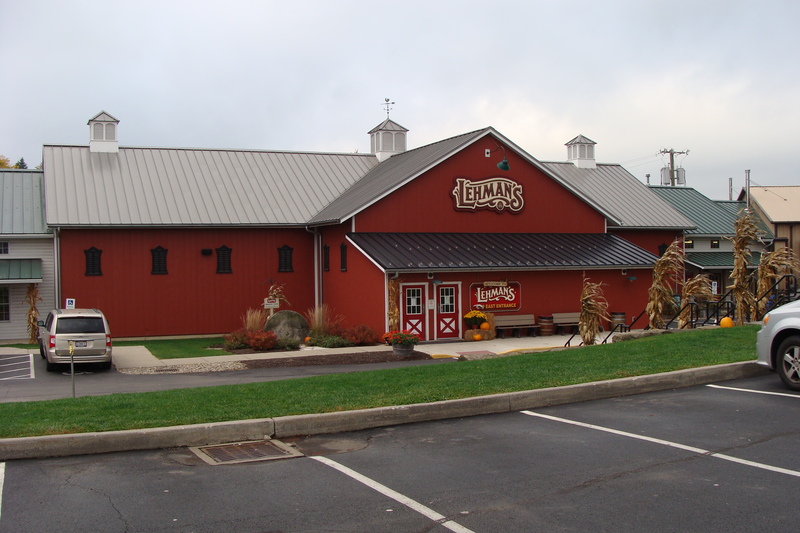 For us a typical day of visiting Amish Country is all about the food. I don’t really enjoy most shopping and prefer to buy online to limit trips to the store. But I do love my trips to Amish Country. If you live in the area, you know that there are several larger towns in Holmes County. Our family is part of a dairy herdshare in Holmes County. 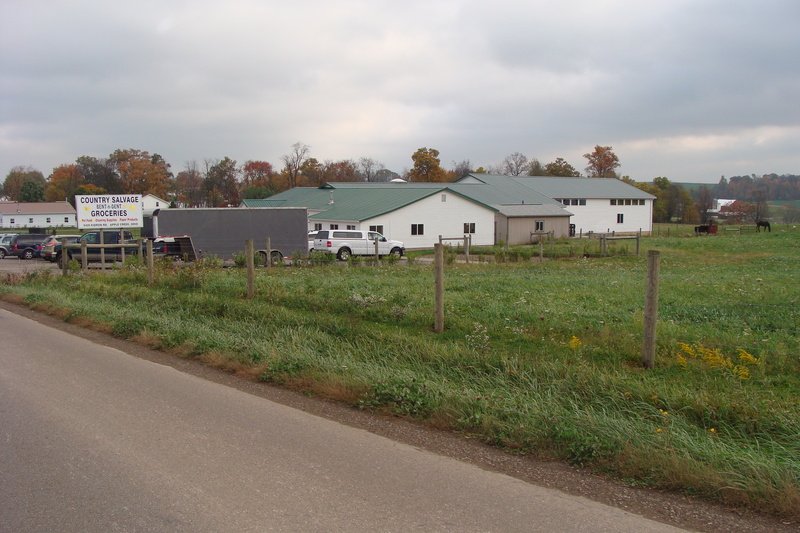 (This is the legal way to obtain raw milk in Ohio). It is our turn to pick up the milk about every 6 weeks, so that is about how often we go to Amish Country. My friends frequently ask where I shop down there and I tend to groan. (I know…I’m nice.) The problem is, things aren’t on neatly marked streets. GPS doesn’t work down there sometimes and cellphone reception can be sketchy…although it does seem to be improving. Explaining where to find things often involves more general directions like: Go through the 2nd stop sign past the 3rd pine tree and turn left at the second entrance of the white house with the curve around driveway. Great right! It’s not really that bad but its hard to explain in quick conversation. So, I tried to take pictures of my favorite stops because some of these stops don’t have great signage or your might pass them if you don’t know what you are looking for. Anyway, my visits to Amish Country start in Kidron Ohio on Kidron Rd. The following are my favorite stops. Most are food related, but some I just like! 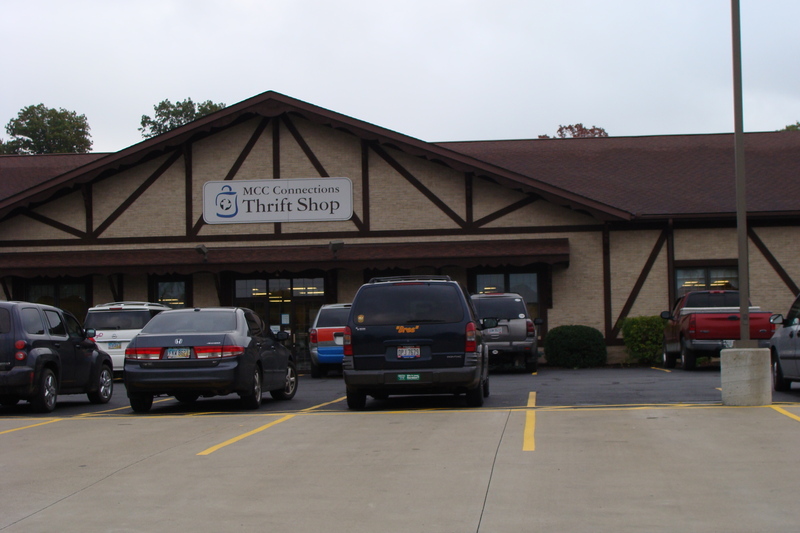 Favorite spot to donate and shop for clothing and household goods. craft supplies, it will be appreciated by someone else and not thrown into a hodge podge box of random items. I also like that when you buy games and puzzles here, they actually take the time to see if pieces are missing and clearly mark the box to indicate if anything is missing. 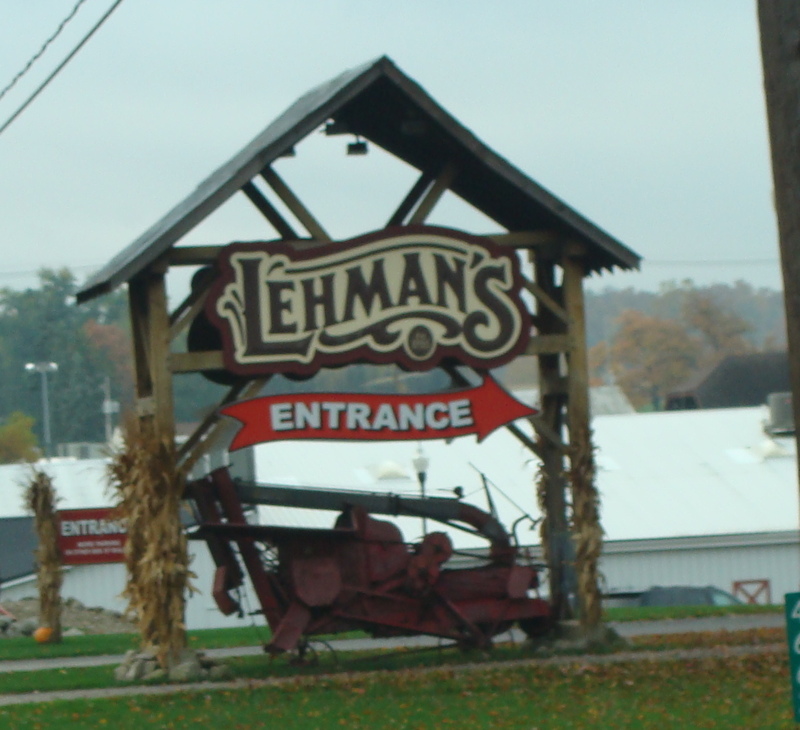 Lehman’s Hardware is a favorite stop for that perfect step back in time right alongside modern amenities. Whether you want to find quality tools and seeds for your garden, cooking supplies galore, classic children’s games and toys, nostalgique old time candies and beautiful woodstoves, this place is worth the stop just to browse. If I don’t have my kids with me, I could spend hours in here. With kids, it is more challenging as they want to touch and explore all the cool things in this place. Definitely stop here if you have never been. A number of years ago, our family decided to start raising chickens for eggs. It was a big endeavor for us non-farmers, but we wanted to try it. One of the things we quickly learned is that chicken feed can be expensive!! In our area, a 50lb bag is nearly $20 but at L.E. Sommer’s, the price for 100lb usually ranges between $16 and $20. Their feed is not organic, although they may sell that. They do have feed for all kinds of animals, so if you have farm animals or pets, definitely check this place out. Cash, check or credit accepted. Discount for paying with cash or check. 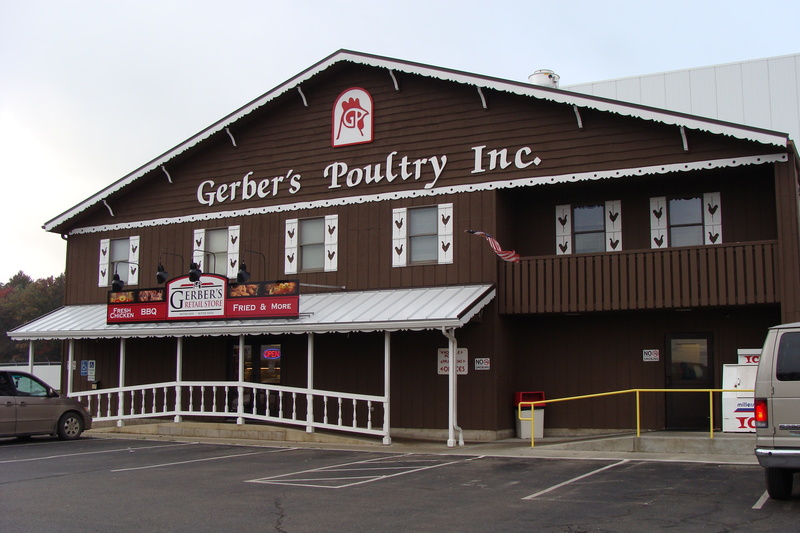 Just a short distance up the road from the previous stops is Gerber Poultry. 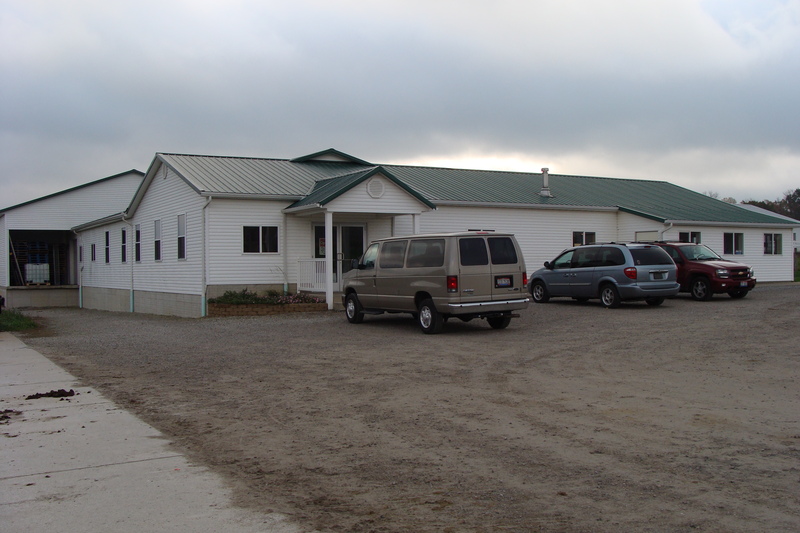 As you will find on their website, they maintain quality practices for growing chickens and are known throughout the area as a prefered supplier for quality meat. 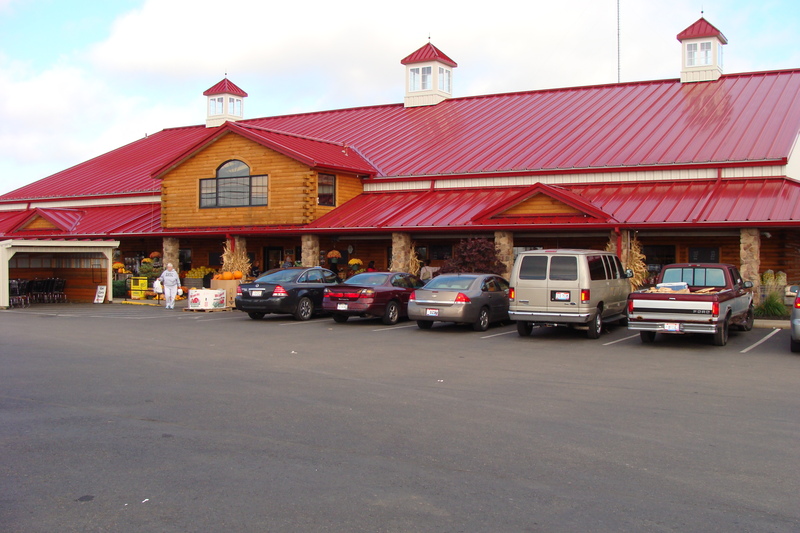 On the front of their processing plant is their retail store. 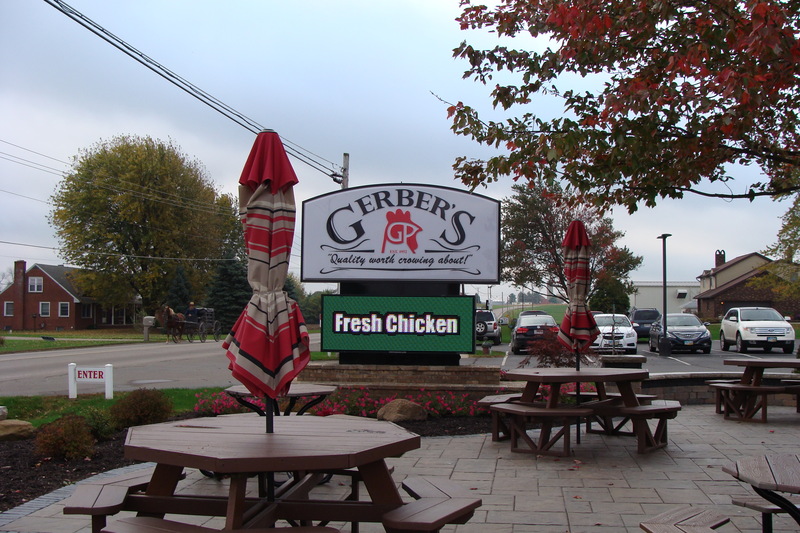 This is a place where you can save lots of $$ if your family likes chicken. Their website indicates their weekly specials in the retail store, bargain hunter ads. I regularly get whole chickens for .99lb on sale or leg quarters for .59lb. Their regular prices are pretty good, but since I’m usually buying nearly 100lbs, I’m looking for the really good deals. 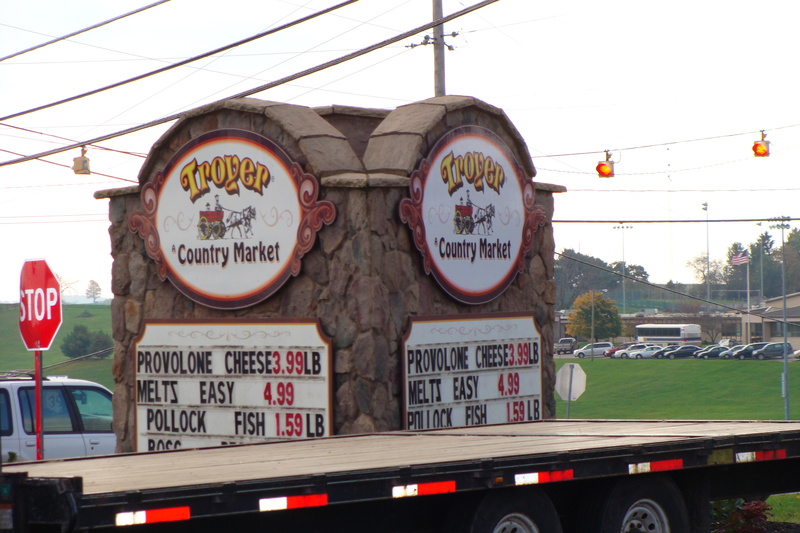 They also sell chicken sausage, ground chicken, and probably the best part…amazing rotisseri and fried chicken! 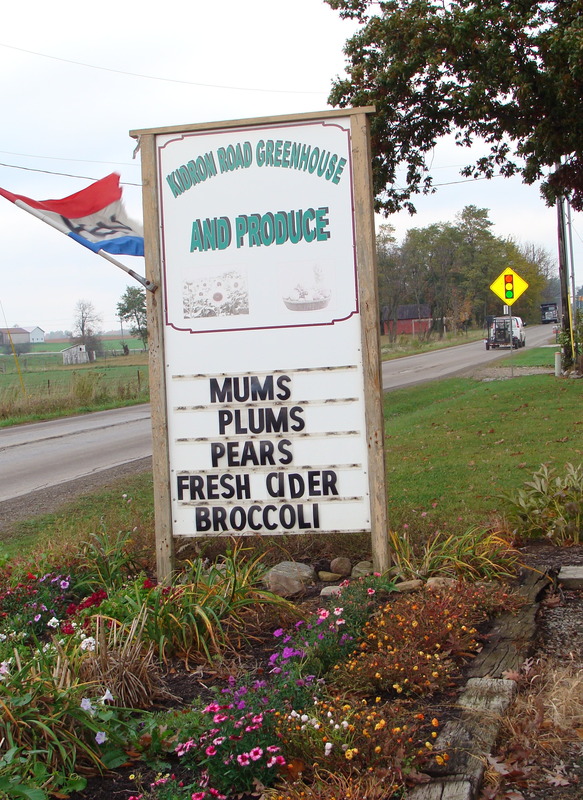 Kidron Road Greenhouse is a small family owned operation that is open year round selling produce and flowers. My favorite time of year to stop here in the spring for flats of flowers and veggies. Their prices are usually much better than nurseries local to us and they usually sell things like onion and sweet potato starts which are less common at other nurseries. I’m going to need to get a better picture of their sign for you. The day I took this, I was driving alone and had my arm hanging out of the car snapping random pictures hoping something would work! This stop is awesome…wonderful…a must stop if you have never been. Scratch and dent grocery stores are in various parts of Amish country and exist in other places as well, but this is one of the closest for us. These stores buy bulk goods from suppliers that have damaged packaging or are outdated on their “best buy” date. Most of the time they are very recently expired but not always. Every time you go, the selection is different, so if you find something good for a price you can’t beat, buy it all! Prices are usually 50-90% off retail. 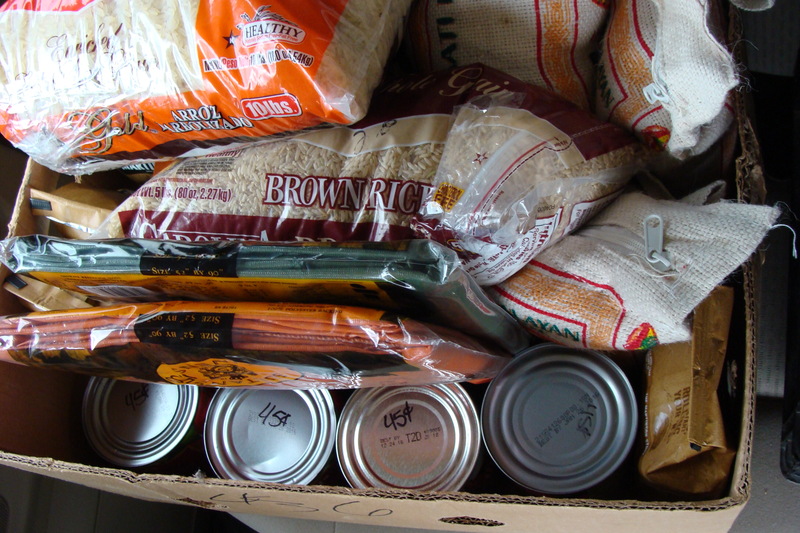 Things you might find inside are canned goods, juices, cereals, crackers, cookies, candy, rices and grains, coffee, tea and any number of other things from a grocery store. Often there are organic or gluten free items as well. I would caution that if you are unsure of something and are planning to buy a lot, open one to taste and buy there in the store. If it is “off” then you will have saved yourself from purchasing a lot of something unsalvageable. There are no returns, so there is a slight learning curve to buying groceries this way. I’ve been shopping here for years and have only had a few things over that time that were unsuitable but I am more careful now. My personal tip is that canola oil does seem to taste rancid after the sell by date, so I tend to avoid that as an ingredient if possible. 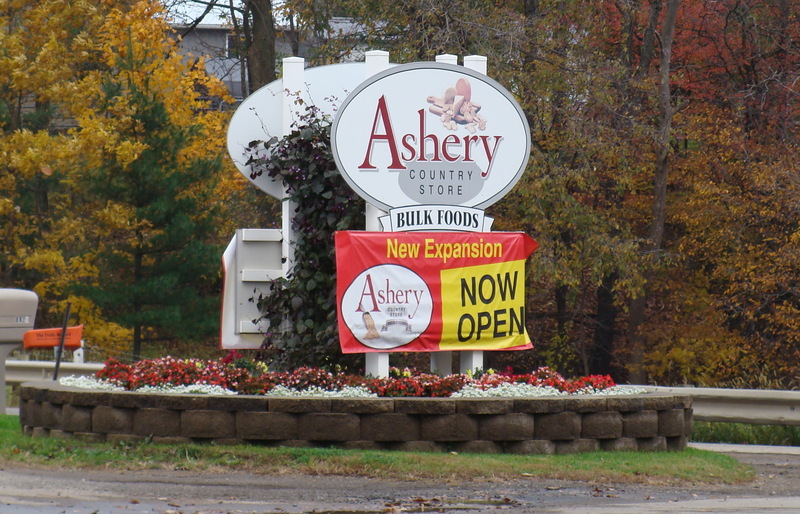 The Ashery Country Store is a bulk food store. I remember stopping here when I was a kid and loving the bulk candy selection as soon as you come in the store. From chocolates to gummies and jelly beans, there is something here for every sweet tooth. But the reason I come here is for the healthy bulk stuff, much to my children’s chagrin. 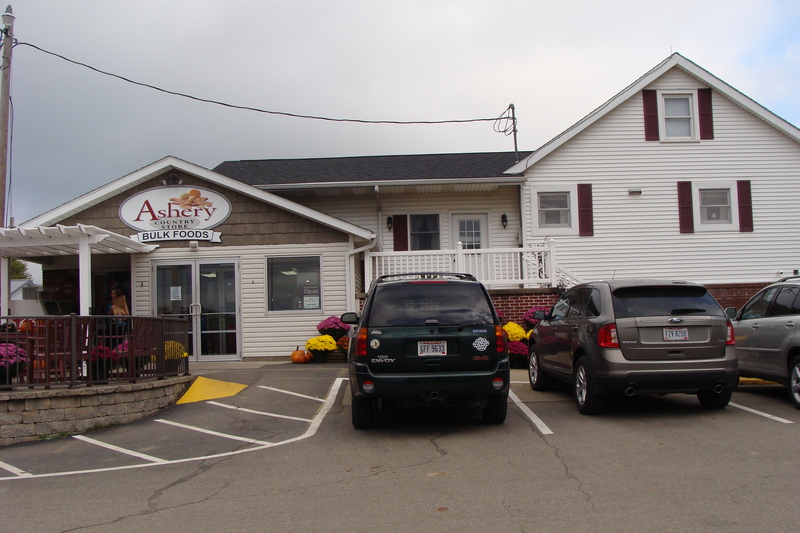 They have a fantastic selection of spices at great prices, bulk grains and flours (I usually buy in 50lb bags for a 20% discount), nut butters, cheeses, crackers, cookies, ice cream, honey and maple syrup and all kinds of baked goods. As with anything, not everything here is a great deal, but I do have my regular items that work well for our family. Of course, this is a fun place to stop for all the samples too. 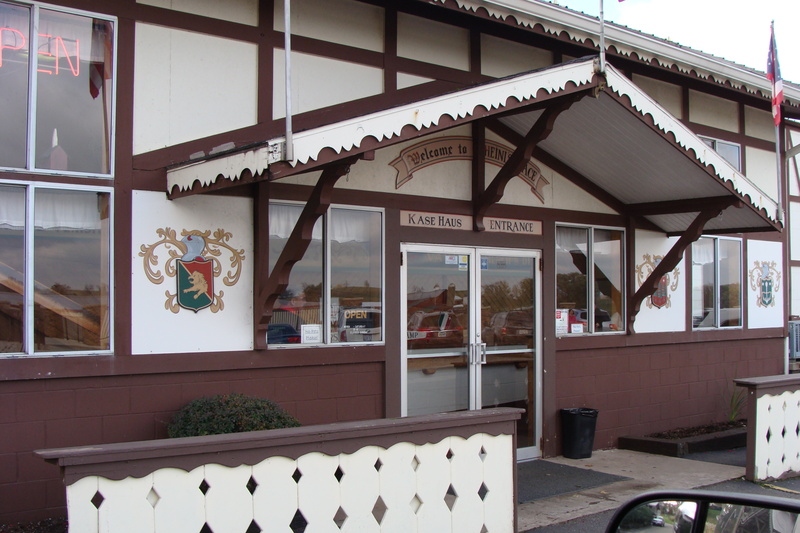 If you come to here and Heini’s you’ll probably need to hold off on lunch for awhile! 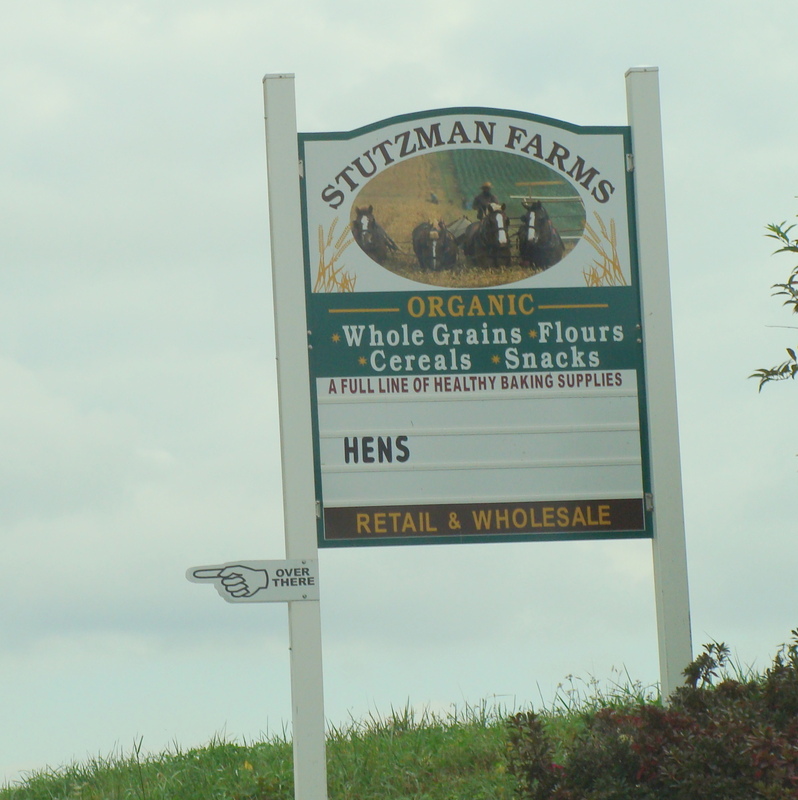 If you are looking for the best place to buy organic grains and cereals, Stutzman Farms is the place you need to stop. Much of their grain is grown right here on the farm and they specialize in organic and non GMO. I recommend trying their honey sweetened puffed corn or spelt…it is amazing! Often they have fresh baked bread available too.! 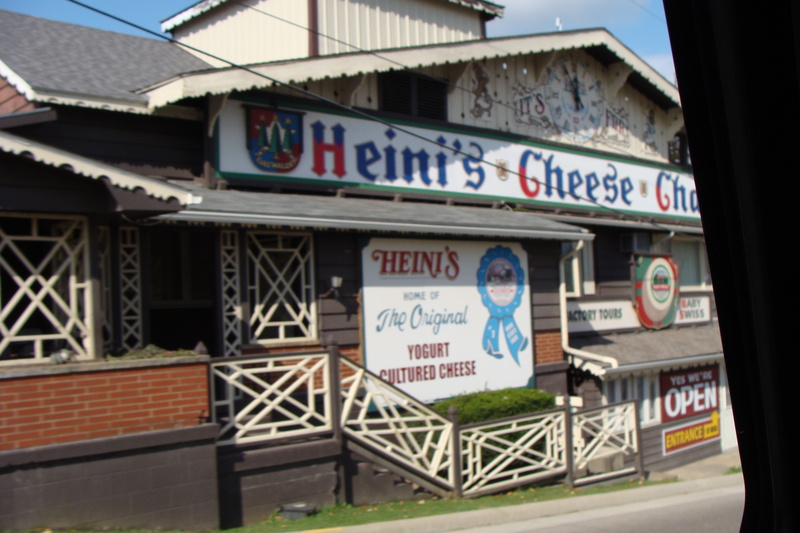 Heini’s Cheese Chalet is an alpine treasure filled with amazing cheeses of all different kinds. Made right here in the same building from Amish sourced milk, they sell all different flavors of cheese and fudge. The best part is all the samples of cheese, fudge and dips! They also have an amazing selection of cookie cutters and sprinkles galore in every shape, color and texture imaginable. When you are leaving, if you drive around the back of the building to exit, you’ll see all the milk cans used for transporting the milk from the Amish farmers. 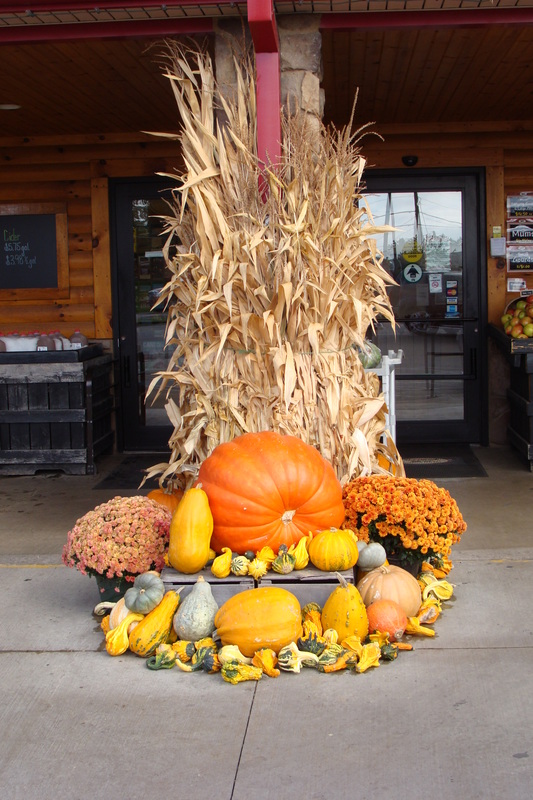 Troyer’s Country Market is a blend between a traditional grocery store with bulk foods as well. They have a bunch of samples to try too! They sell Troyer’s pies with are delicious and have a little cafe area inside. 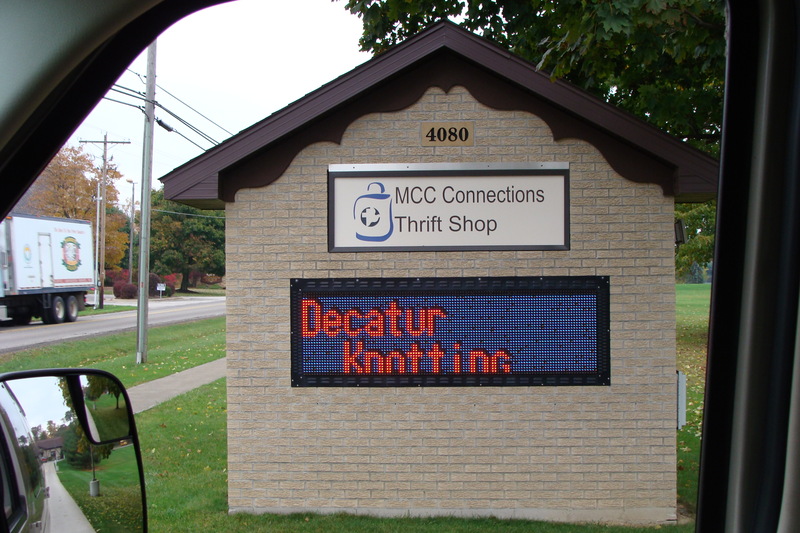 If you love to sew, be sure to stop at Zinck’s Fabric Outlet. This huge warehouse is filled with fabric, notions and sewing delights galore. You can find some super deals on fabric here. Some of their fabrics have misprints or damage on the bolts so be sure to look over your precut lengths or bolts carefully to make their any flaws won’t make the piece unuseable. My mom regularly goes here if she needs to make a bunch of table cloths, curtains, or pjs for grandkids! 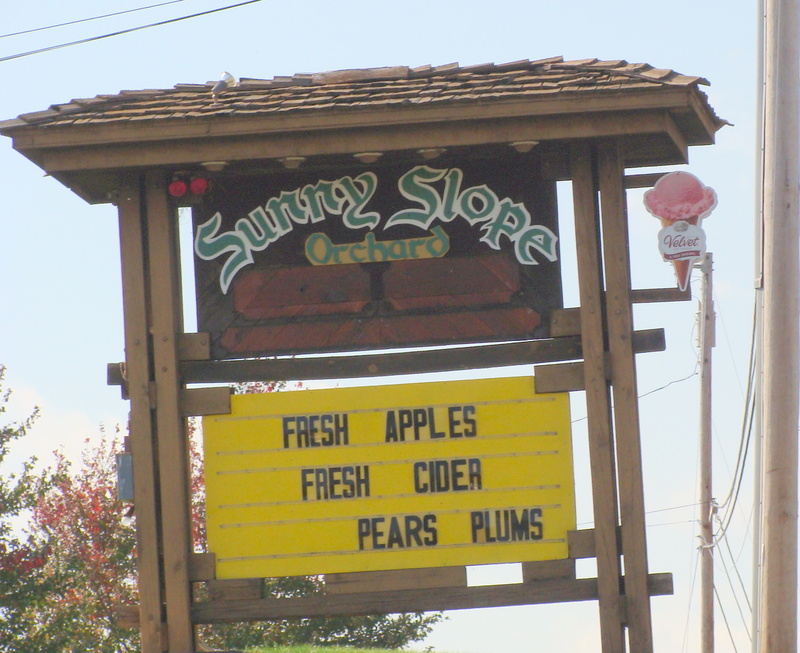 One of our favorite stops in the fall is Sunny Slope Orchard for a huge selection of apples. 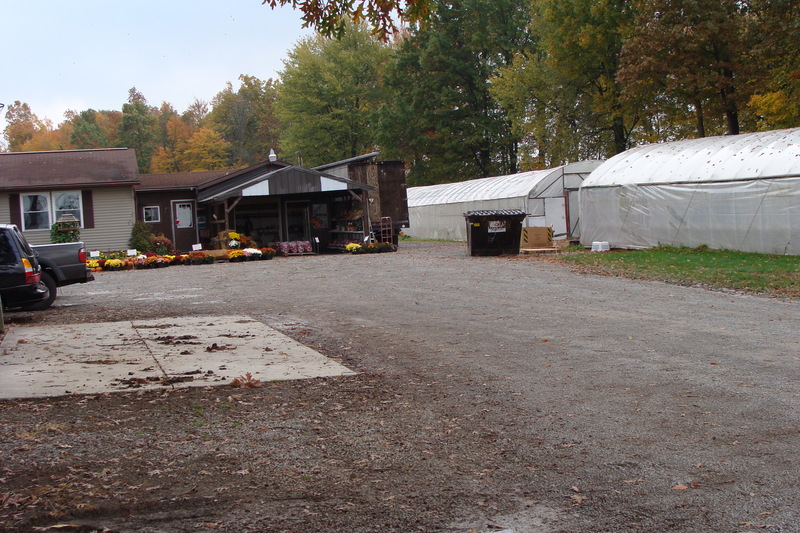 They also sell pumpkins, squash and depending on the season…sweet corn, peaches, concord grapes and various other produce. Open year round, they sell Florida citrus in the winter and baked goods year round. Their cider is delicious too! The best deal here is their 1/2 bushel bags of seconds. The apples might be small or have some bruises, but most of them are fine. They are usually around $6 for a huge half bushel bag. Last year they had seconds even in February so it is worth checking even past the fall. Well, I hope this was helpful. I have a few more stops that I need to add into this loop of favorites, but in the mean time, I encourage you to visit these places if you get a chance to visit the Kidron/Berlin area. Let me know if there are any must visit food stops I should add in!